"I'm not ashamed to admit it: The video you're about to watch made me tear up. Now, granted. 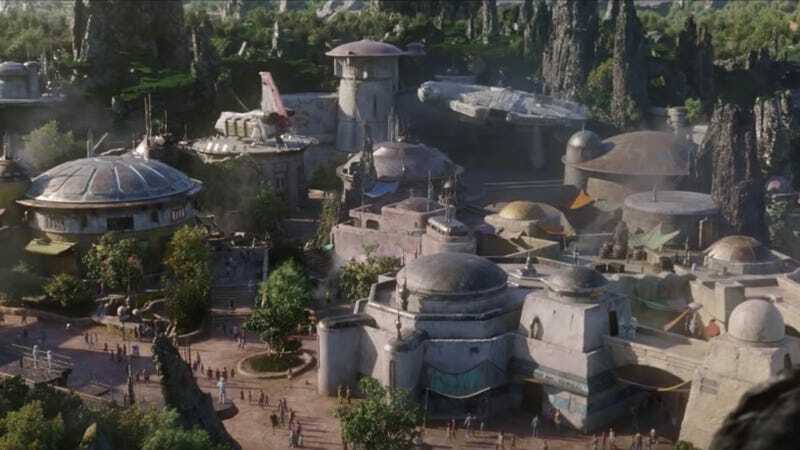 I'm a Disneyland season pass holder and Star Wars mega fan, so any video of the upcoming Star Wars: Galaxy's Edge attraction is gonna hit me harder than most. But this video, in particular, is special. The themed section of the parks are closer than ever to completion, so we have some great new looks at the structures themselves, plus we get our best look yet at the two rides, "Millennium Falcon: Smugglers Run" and "Star Wars: Rise of the Resistance," which is being touted as "the biggest and most immersive Disney Parks attraction ever."…." I'm an AP and SW geek as well… I think we need a an official TMP meetup at the Galaxy's Edge!